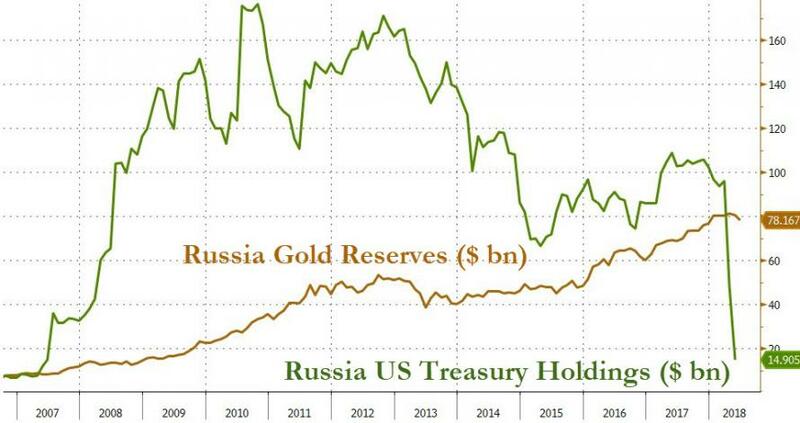 After the liquidation of its US Treasury holdings, surging gold reserves, and switching to a non-SWIFT payment system, Russian President Putin attempted to quell general concerns noting that “Russia isn’t abandoning the dollar." In a press conference this morning, the Russian president said his country doesn’t plan to abandon holding reserves in U.S. dollars though he said that the risk of sanctions is prompting Russia to diversify its foreign currency assets. 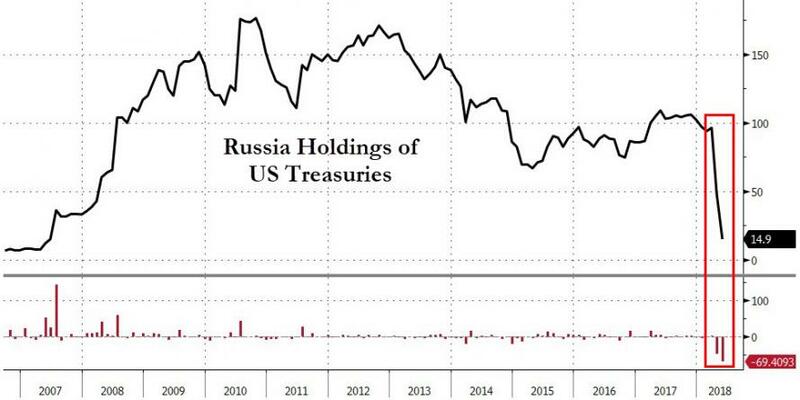 “Russia isn’t abandoning the dollar,” Putin said in answer to a question about the sharp decline in its holdings of U.S. Treasuries in April and May. "Regarding our American partners placing limitations, including those on dollar transactions, I believe is a big strategic mistake. 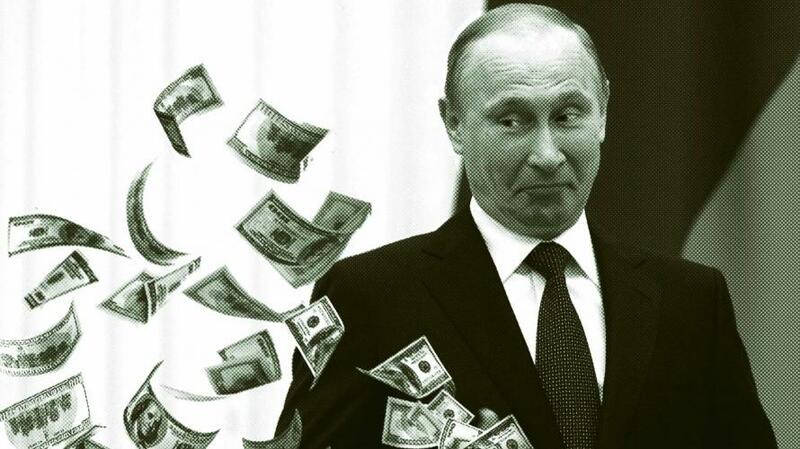 By doing so, they are undermining the trust in the dollar as a reserve currency"
The Russian president also emphasized the need for other currencies in global trade and the emergence of new reserve currencies like the ruble. Just last night we laid out the four major moves that Russia seems to be taking to de-dollarize so we suspect this comment by Putin is lipstick on that pig so that the rest of the world doesn't front-run him. Additionally, President Putin said he’s ready to hold a new summit with U.S. counterpart Donald Trump in either Moscow or Washington, praising him for sticking to his election promises to improve ties with Russia. “One of President Trump’s big pluses is that he strives to fulfill the promises he made to voters, to the American people,” Putin told a press conference at the BRICS summit in Johannesburg.